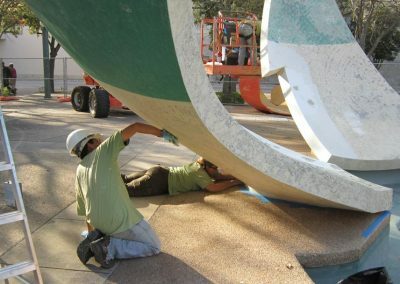 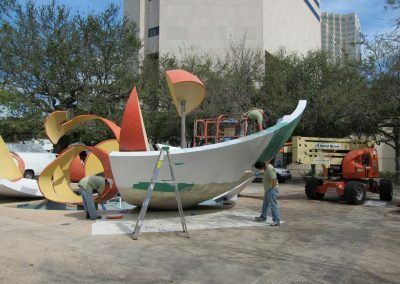 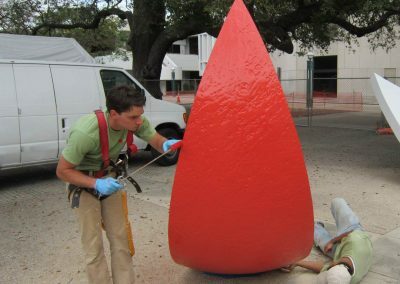 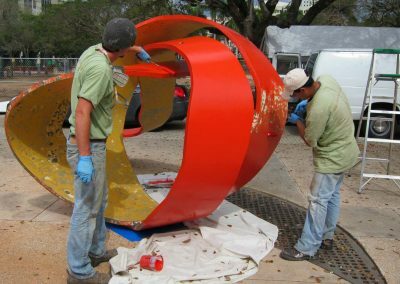 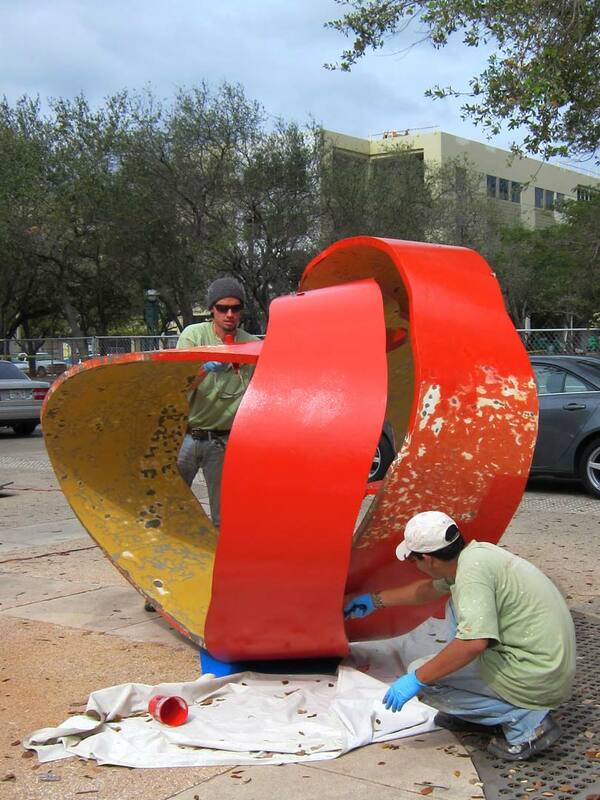 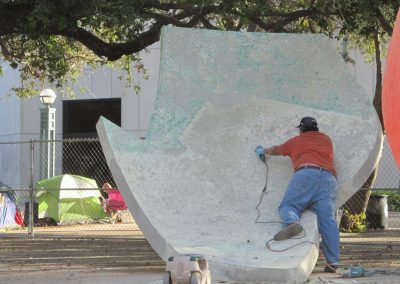 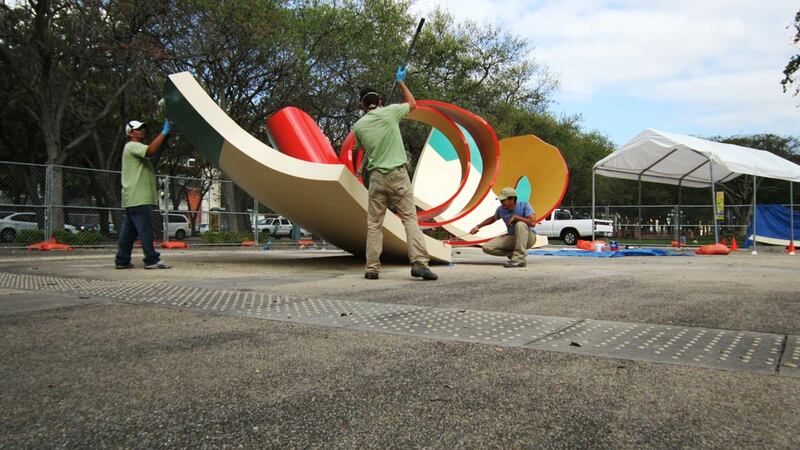 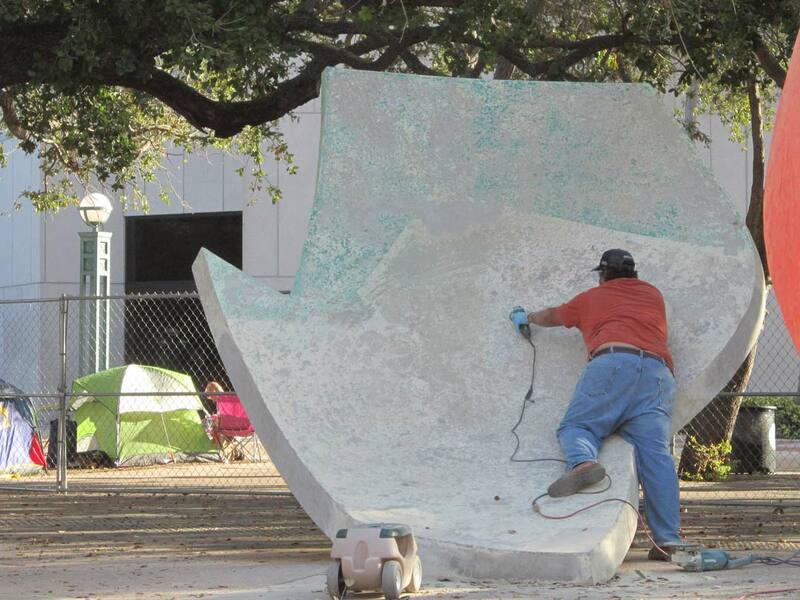 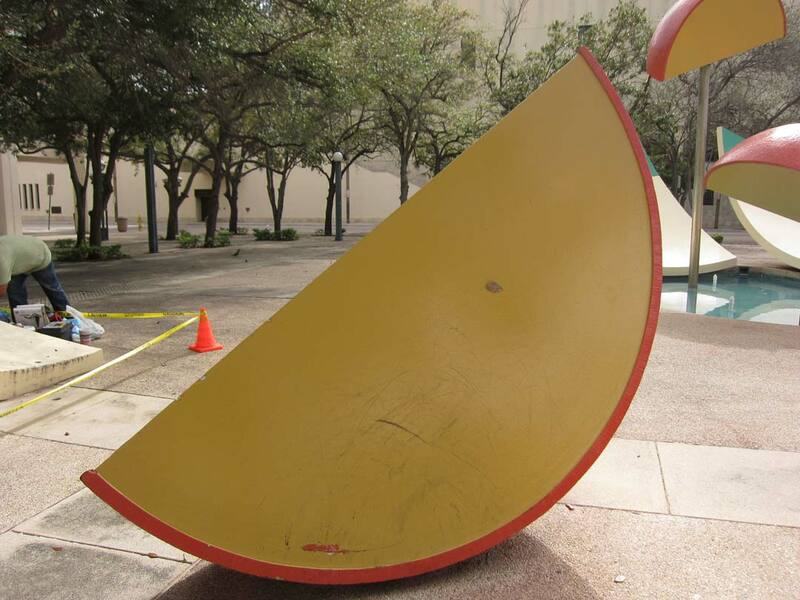 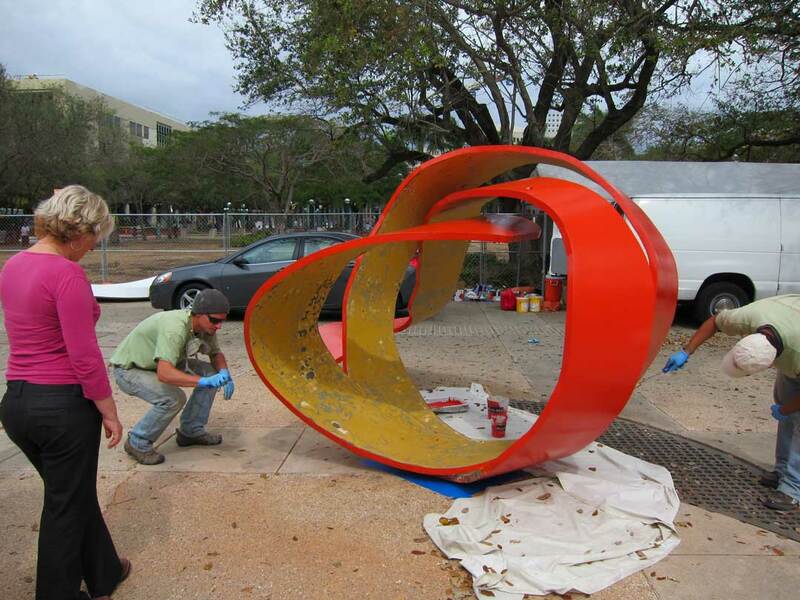 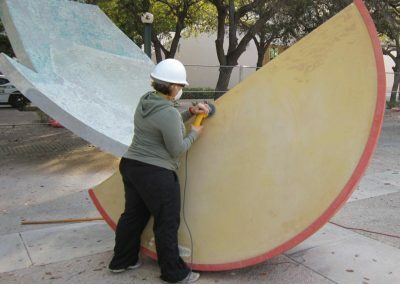 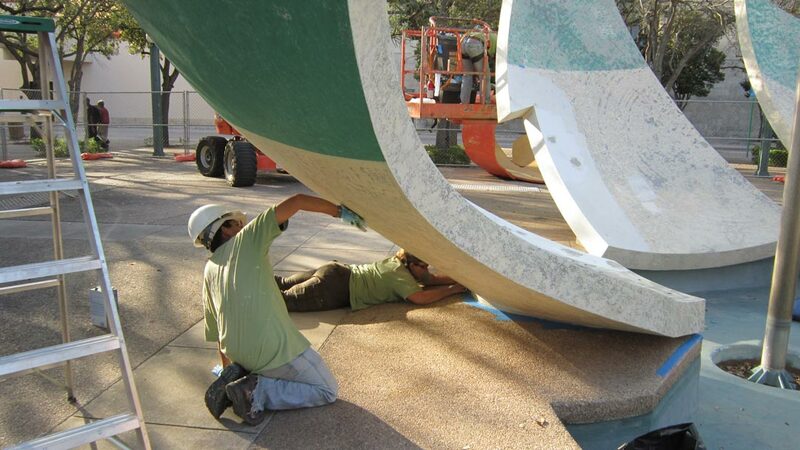 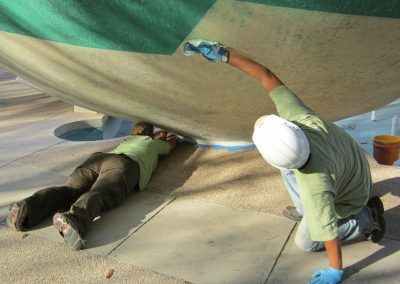 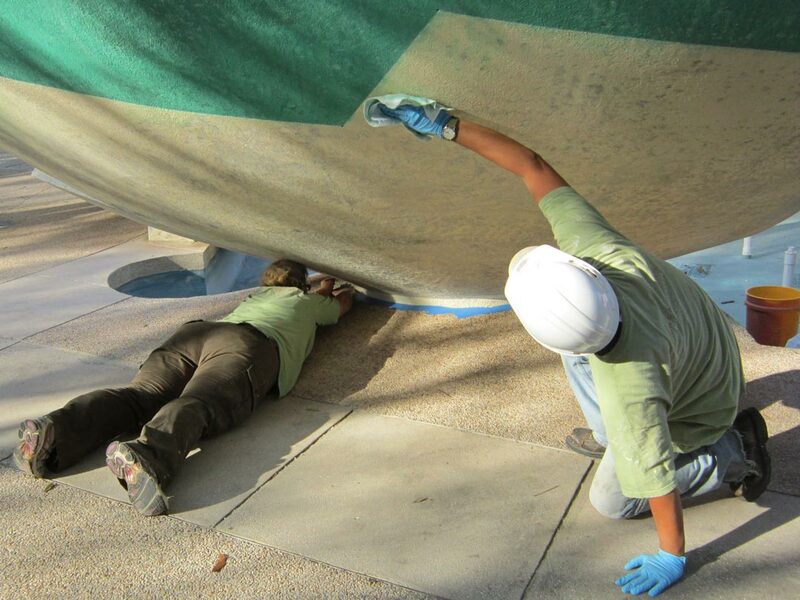 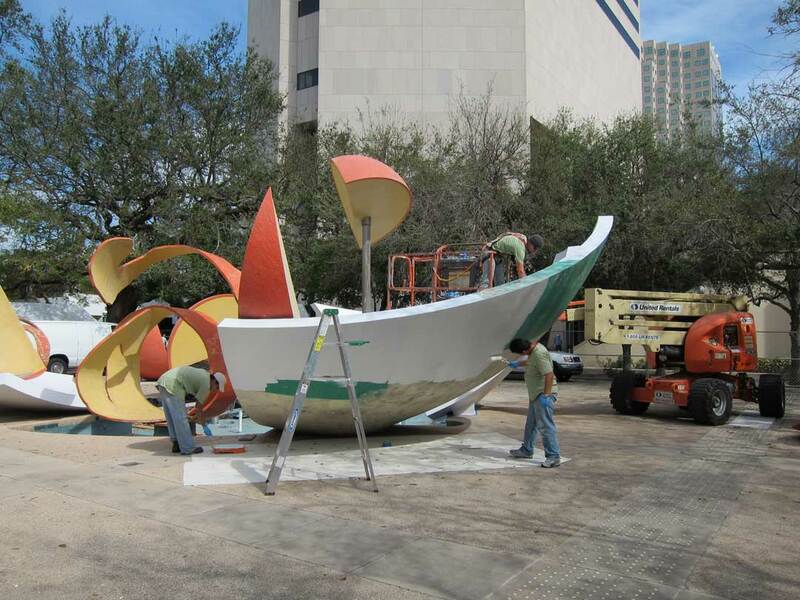 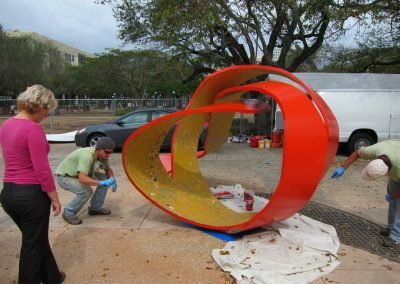 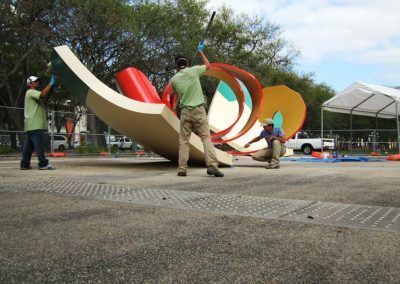 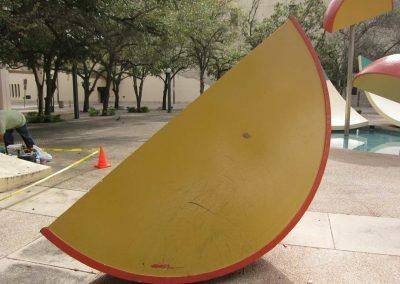 Miami Dade County Art in Public Places retained RLA to provide conservation services for Dropped Bowl with Scattered Slices and Peels, a site-specific sculptural fountain by Claes Oldenburg and Coosje van Bruggen. 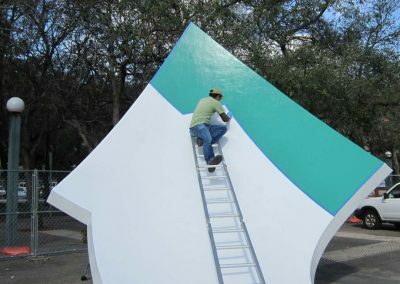 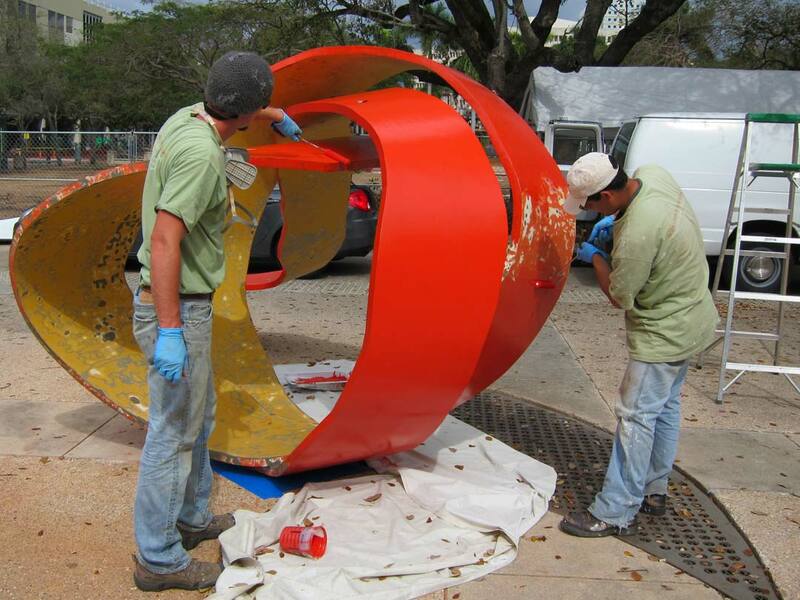 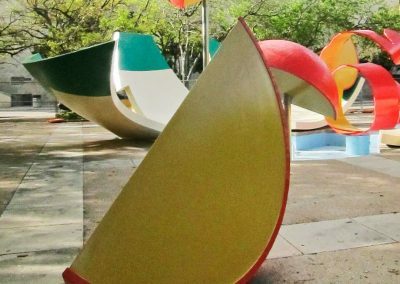 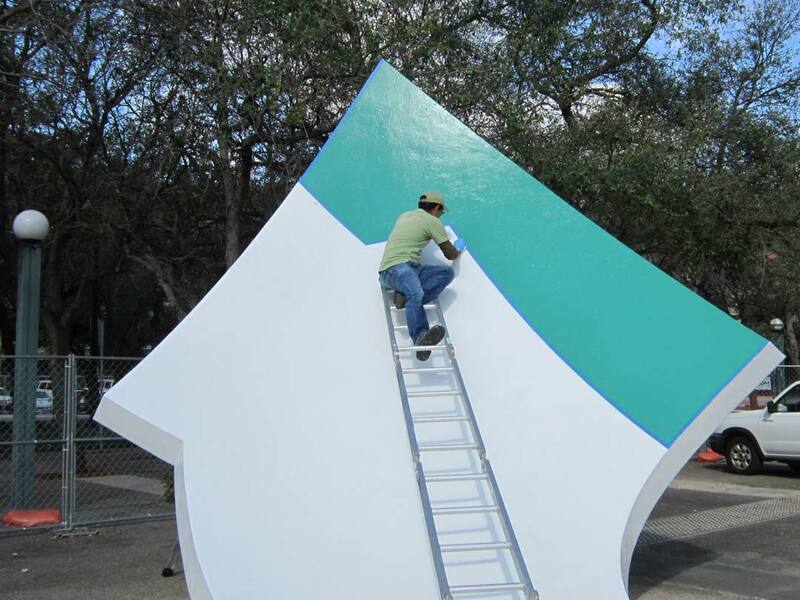 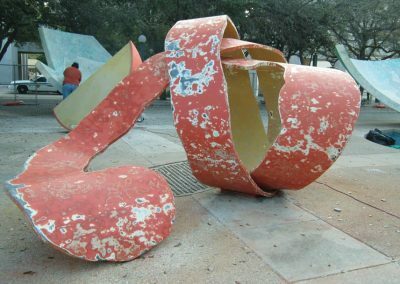 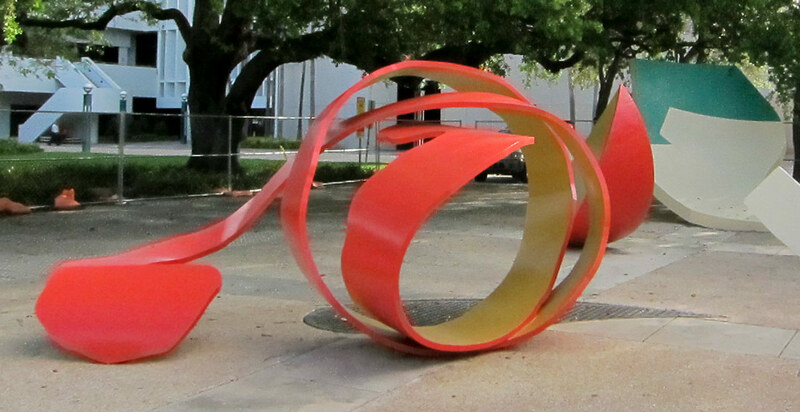 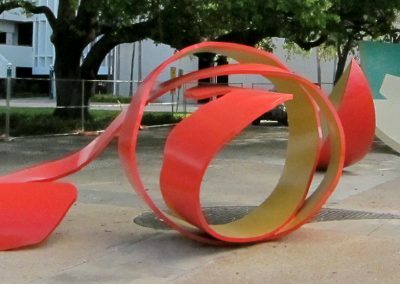 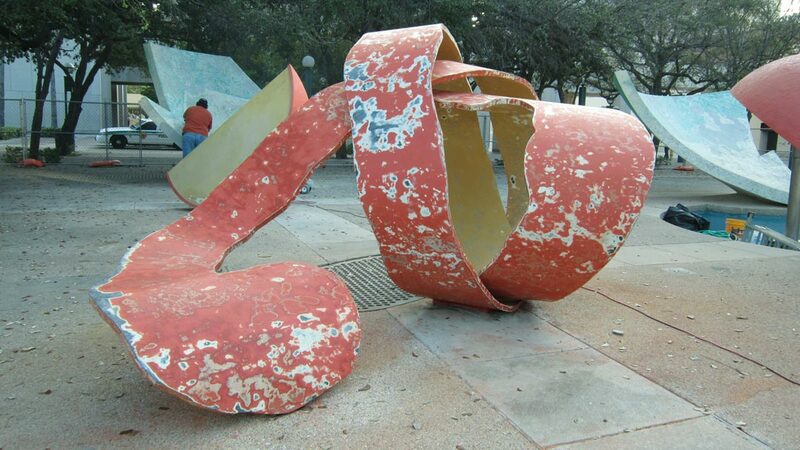 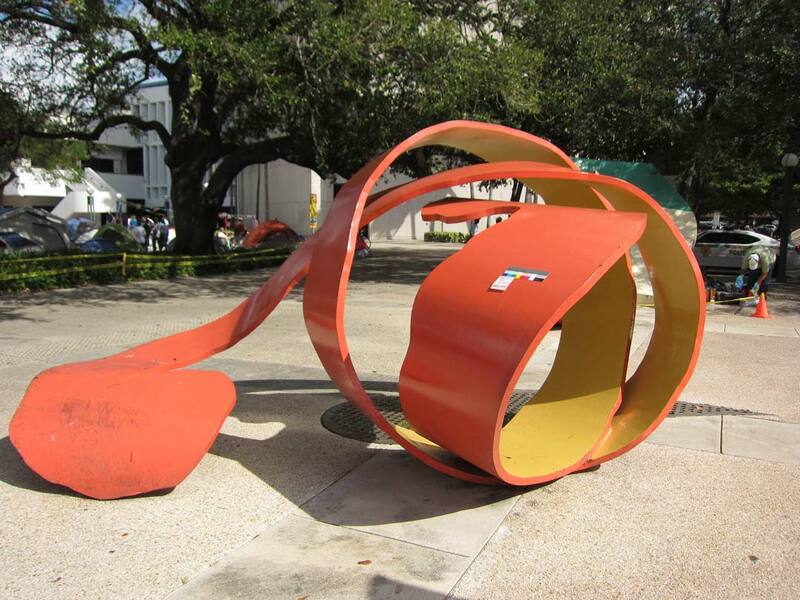 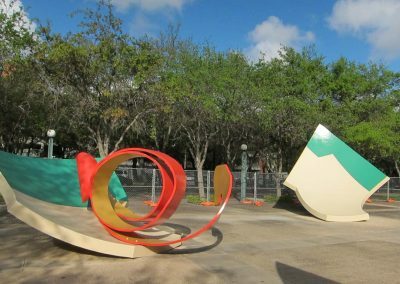 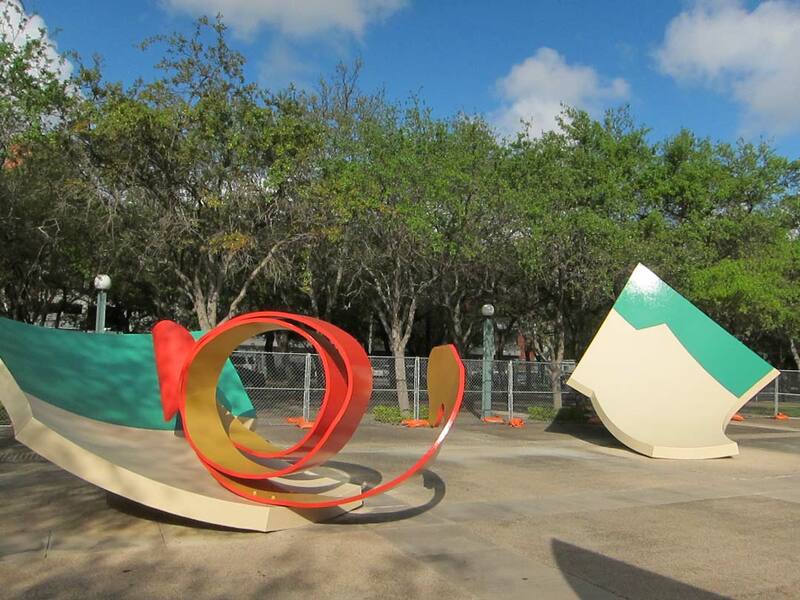 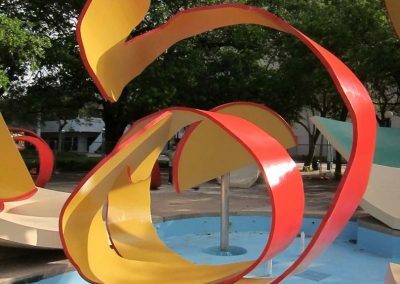 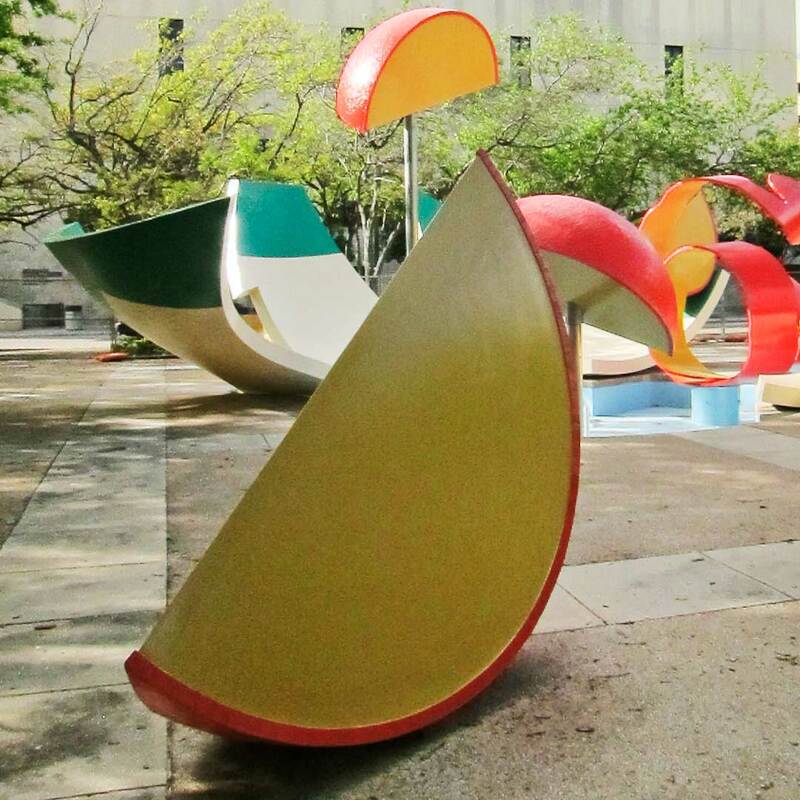 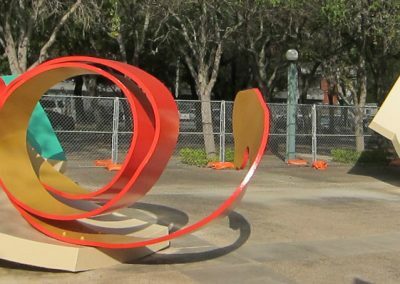 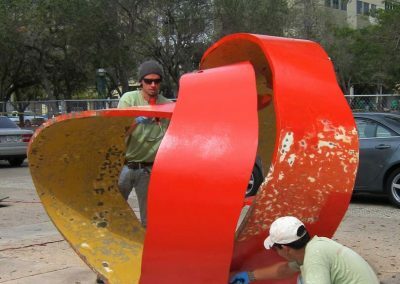 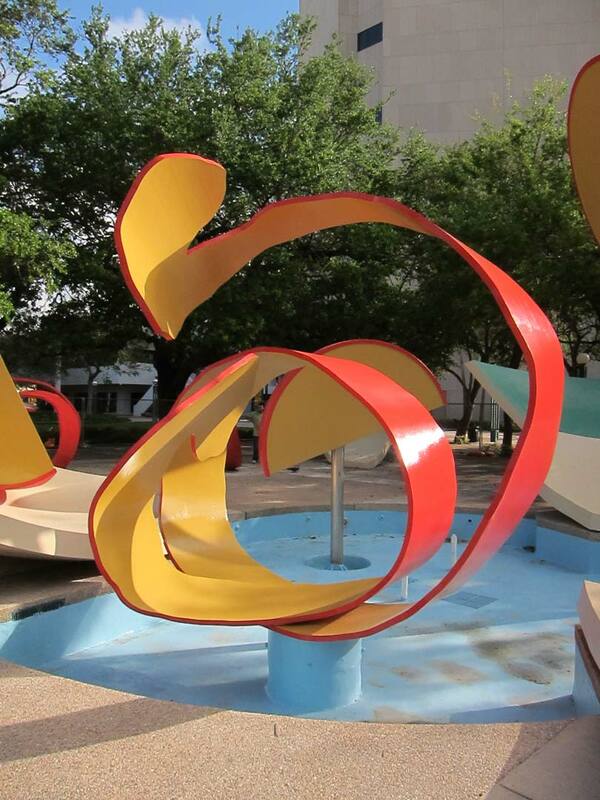 Consisting of 17 painted elements in fiberglass, stainless steel, and concrete, the work was installed at the Stephen P. Clark Government Center Open Space Park in downtown Miami, Florida in 1990. 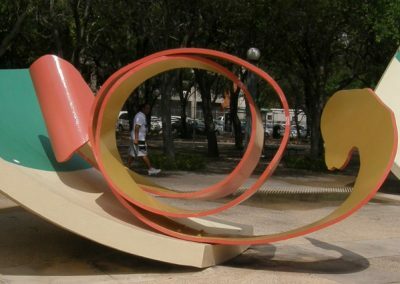 The sculpture was originally painted with Dupont Imron, and subsequently repainted biennially with paints of varying composition, leading to marred surfaces, loss of detail and color changes to the original. 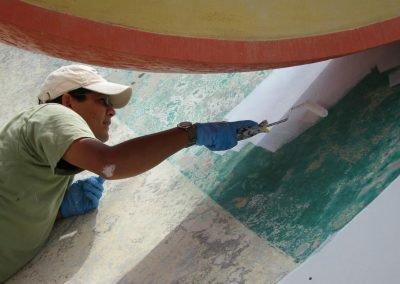 RLA was tasked with identifying the original intended colors and addressing lifting and peeling paint, excessive wear and abrasion, graffiti, fading, and discoloration. 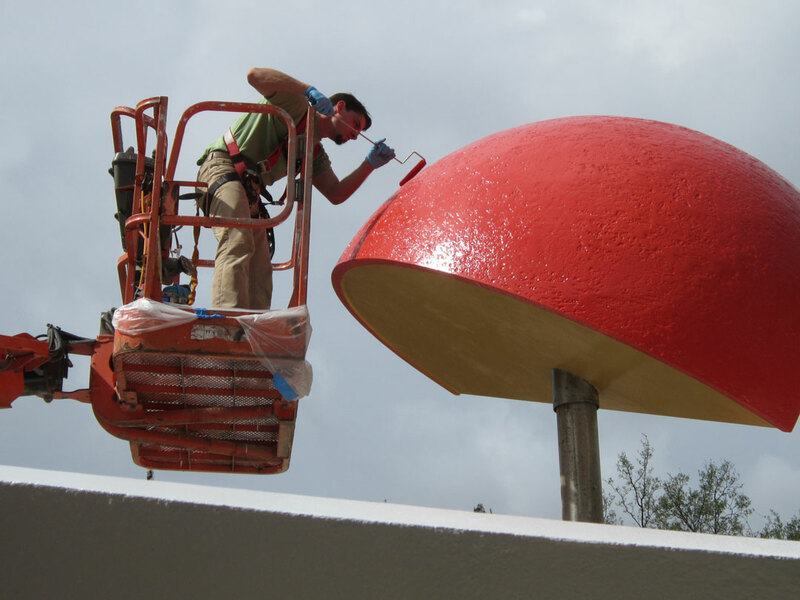 We identified a more durable industrial paint finish for the coating and worked under the public’s scrutiny for nearly 3 months. 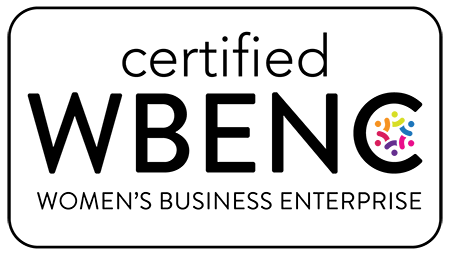 The project highlights RLA’s expertise in modern finishes and coatings, particularly in tropical and marine environments.